In the never-ending quest to lose and keep off weight, sweets can be a tricky thing. I’ll indulge in a small piece of dark chocolate to satisfy that craving, but for the most part, I stay away from sweets. But when I am going to treat myself, it’s not going to be on a cookie I bought from a grocery store. It’s going to be this easy crème brûlée. It’s worth every delicious, indulgent bite and when you’re finished, you feel ultra-satisfied, and not like you just “wasted calories” on something subpar. 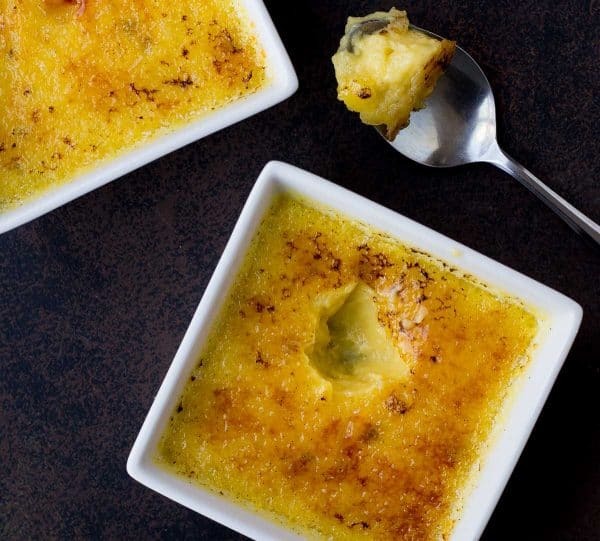 When I was flipping through Christina Lane’s beautiful new cookbook, Sweet & Simple (you might know Christina from her blog, Dessert for Two), I spotted this beautiful crème brûlée and knew it was what I would be making. Christina’s third book (!) is just as gorgeous as her first two and is perfect for empty nesters, new couples, or folks like me who can’t just have one bite…no self-control over here! The small yield of these recipes is perfect if you want to treat yourself but not have the temptation of an entire 9×13 pan of brownies staring you in the face. 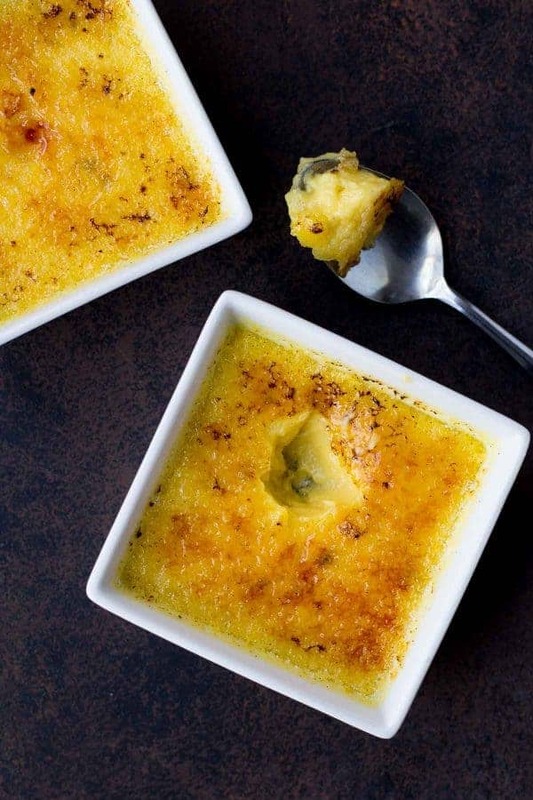 While I clearly need to work on my brûlée skills (Christina’s is much more beautiful), this easy crème brûlée is the perfect combination of smooth, silky, rich filling and that crispy sugary top you love and expect from a classic crème brûlée. Christina’s recipe calls for 1/4 of a vanilla bean but I’m vanilla bean obsessed and I didn’t have a use for the other three quarters, so I used the entire thing. 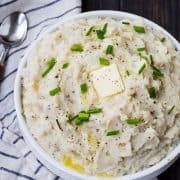 It’s totally not necessary (1/4 would have been plenty for this recipe), but if you’re a vanilla bean lover like I am, go for it! The egg custard is simple to make (only four ingredients) and then it cooks slowly in a slow cooker water bath. 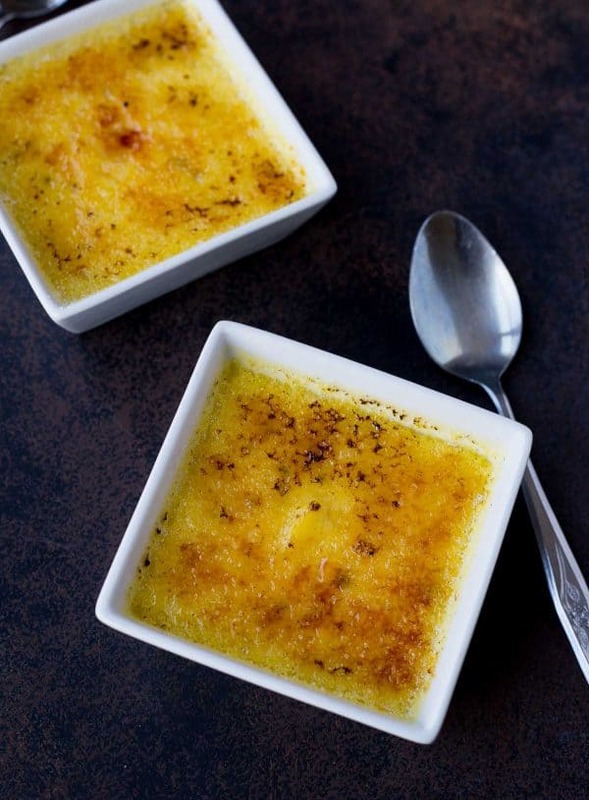 It really couldn’t be easier as far as crème brûlée goes. 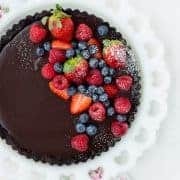 If you’re interested in more desserts (and meals!) for two, make sure to check out Christina’s other books, Dessert for Two and Comfort and Joy: Cooking for Two. For another taste of Dessert for two, check out the Lemon Meringue Pie Cookies I shared from that book. 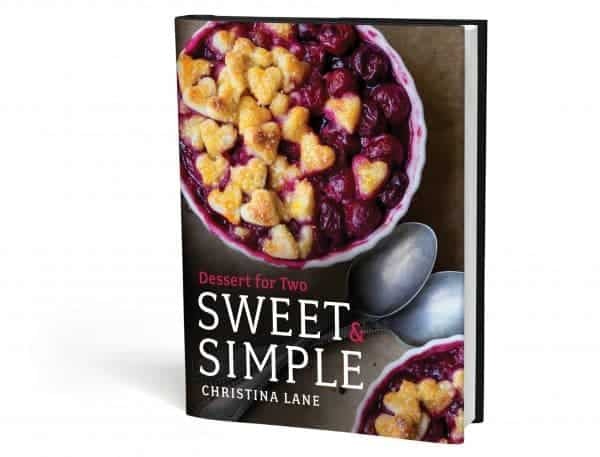 In Sweet & Simple, you’ll find 100 recipes for small-batch desserts including some of your favorites like small-batch Rice Krispie Treats and Frosted Brownies, and you’ll also find innovative recipes such as Beer Brownies, Mini Raspberry Pies, Coconut Panna Cotta with Figs, and Chai-Poached Pears and Cream. Combine the egg yolks, whipping cream, and 1/4 cup of the sugar in a bowl. Whisk to combine. Using a dull knife, scrape the seeds out of the vanilla bean and add it to the cream mixture. (You should have about 1/8 teaspoon of vanilla bean seeds). Whisk the mixture together very well. Pour into two 4-ounce ramekins. Meanwhile, take two 12-inch-long pieces of foil and roll them up into “snake” shapes. Then curl each one into a circle and pinch the ends together. Place them side by side in the bottom of your slow cooker. Carefully pour boiling water into the slow cooker (don’t splash water on the custards!) until the water reaches about one-third of the way up the side of the ramekins. Turn the slow cooker to LOW and cook for 2 to 2 1/2 hours. When done, the custards should be set – poke one with a knife to be sure. 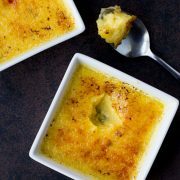 Before serving, sprinkle the remaining 2 teaspoons of sugar evenly over both custards and torch with a culinary torch until brown. 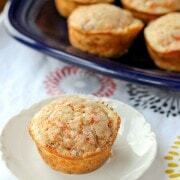 Recipe reprinted with permission from Sweet & Simple: Dessert for Two by Christina Lane. Verdict: I’m obsessed. I’d buy this book just for this recipe. I topped this easy Crème Brûlée with chopped strawberries and it was a wonderful bright, fresh contrast to the richness of the custard. Husband’s take: He polished it off without complaints! He loves vanilla beans like I do, so he loved the extra vanilla bean I put in this. Changes I would make: Make it more often. Difficulty: Really easy! All it takes is a little patience. Disclaimer: Christina was kind enough to send me a review copy of her book but I was not obligated to share it with you guys. All opinions are my own – it’s a fantastic book! Crock pot! Chrstina’s a genius! Holy yum!